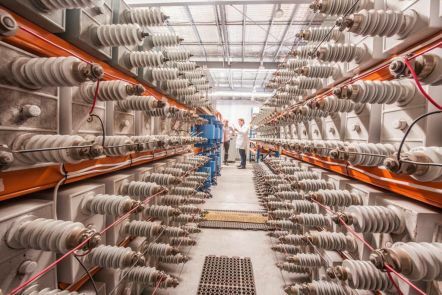 There’s a revolution underway to find cleaner and more efficient large-scale motors to power the world’s transport and industry. 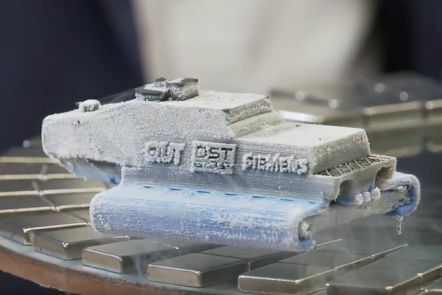 QUT is at the international forefront of research into high temperature superconducting (HTS) motors. This technology has the potential to radically transform many industries including maritime, transport and defence. 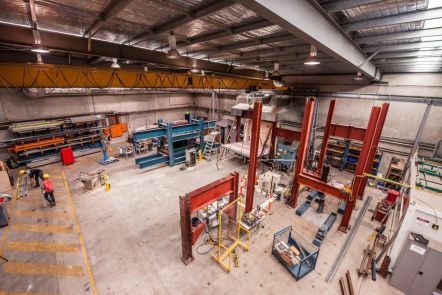 The 2,700m2 Banyo facility provides specialist research testing capabilities for mechanical and civil engineering, electrical engineering, water treatment, geology and ecology, and materials characterisation. Our researchers use equipment located at Banyo to produce and recover fibre and juice from biomass, which is then processed into high value products, biocrude oils, fuel and chemicals. Technical staff and students use a gantry crane, strong floor and gas furnace to test the heat tolerance of a structural wall. Professor Peter Talbot uses Banyo facilities to develop advanced battery materials for electric vehicles. 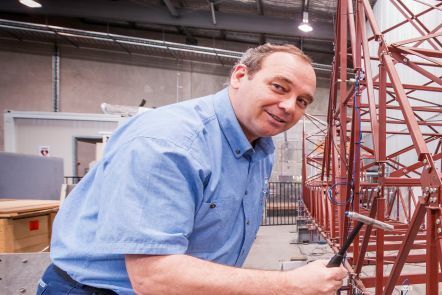 Banyo's power engineering lab allows testing of both high-voltage and low-voltage devices. Technical manager Frank de Bruyne oversees the daily operations of the facility, supervises technical staff and ensures the facility functions safely and efficiently. uncovered hard stand area of 2,000m2. The site is suited to large-scale, heavy engineering equipment and small to medium (up to 200m2 footprint) pilot equipment. Research projects include the development of pilot equipment and processes for industry partners as well as long-term monitoring of industrial products. sugar research including biomass processing and instrument development. A scientific and industrial lab for heavy mechanical and structural testing, including high temperature and flame conditioning. 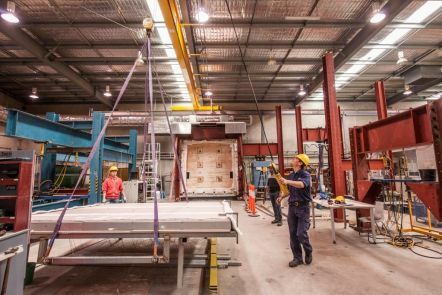 It includes a 5t gantry crane and 2.5t forklift for heavy lifting, 100m2 of strong floor (up to 500kN), and a six-burner gas furnace that can deliver up to 1000°C. A power engineering lab for experimental and qualification testing of both high-voltage and low-voltage devices, and characterisation of superconducting materials. A geological lab for preparing and analysing samples, with equipment for rock cutting and crushing, core logging, thin sections and soil analysis. A large aquarium for studying fresh-water organisms and the impact of controlled environmental factors. Labview data logging systems for collecting data and test reports. For construction, fitting and assembly work, with a lathe, milling machine, grinders, drill press, vice, hand tools and a large selection of nuts, bolts and different materials. An assembly facility for small projects, including printed circuit board (PCB) design and construction. Walk-in cold room; single and three phase power; compressed air; deionised water. 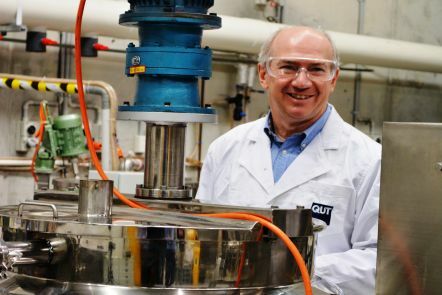 The Banyo Pilot Plant provides services to QUT staff and students, external researchers and commercial organisations, ranging from basic technical support to commercial research. Specialist staff are available to carry out analyses, or we can train you to use the instruments to do your own work. Please note: Standard hours of operation at Banyo are 8:00-16:00 Monday to Thursday. The Plant is closed each Friday for regular maintenance and servicing. Anyone visiting Banyo must sign in at Reception upon arrival. 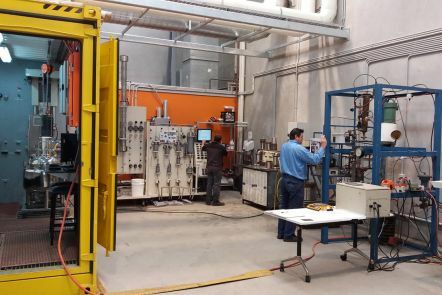 The Banyo Pilot Plant offers consultancy and commercial testing services to researchers and organisations on a fee-for-service basis. Contact the Banyo Pilot Plant Technical Manager to discuss your needs. If you’re a QUT staff member or student who wants to undertake research activities at Banyo, please follow the steps below. Please fill out the Banyo Project Scope Form [Docx file, 63KB ] with as much information as you have about your project. You’ll also need to read and sign the Banyo User Agreement [PDF file, 592KB], and then send both forms to banyo@qut.edu.au. Please note, your Supervisor will need to co-sign both of these forms with you. After you’ve provided your project proposal, the Banyo team will get in contact to arrange a meeting with you. This will be an opportunity for you, your Supervisor, and the Banyo staff to discuss your project requirements in more detail, confirm the work that you will do at Banyo, and clarify the support you need from the Banyo team. You will need to log-in with your QUT credentials. Click "Enrol" on the left of screen, and follow the prompts to enrol. Once you are enrolled, click on the ‘Resources’ link in the left-side menu. Select the ‘Banyo Orientation’ folder, and then download the Powerpoint or PDF file to view the training materials. Once you have completed the training materials, click the ‘Mark Reviewed’ button. You must then complete the multiple-choice quiz. If you score 80% (or higher) you will receive your completion certificate. After you’ve successfully completed the online safety induction, you can contact the Banyo team to arrange a time to have your onsite orientation, and to commence work at Banyo. Approval is required to have goods delivered to Banyo Pilot Plant. Please complete the Notice of Delivery form [Docx file, 668KB] and email it to the Banyo Technical Manager prior to arranging delivery. You must ensure the address label on the goods contains the name of the recipient. Please note that delivery of pallets and/or chemicals can only occur 8am – 3pm Mon-Thurs. Truck size limit is total length of 8m.